My teeth have never been great; certainly they are not my best feature. An experience from my childhood left me terrified of dentists with a bit of a phobia about dental treatment in general. I think I was seven years old when I had my first tooth extracted by a giant of a man with a walrus like moustache who asked me whether I was a man or a mouse before proceeding to yank on the offending molar for what seemed like hours. As a result, I have been known to actually run away from dental waiting rooms while my wife was parking the car and often go many years between visits…basically I went to the dentists when all else had failed. Just last year, I finally found a dentist that I liked. He has a small one man fairly run down looking practice unlike most of the megabuck sparkly corporate city dentists that flourish here in Chiangmai. I needed a crown to replace one of my central incisors and he managed to get it just the right shade of off white (closer to yellow) to go along with my other teeth. Years of black coffee drinking and smoking had left my teeth looking decidedly old. My dentist is not the sort that will recommend expensive treatment when there is a cheaper solution available and it was he that suggested I start to brush my teeth with baking soda. I know that many people already do this but it was a new one for me but I can happily testify that it works. My teeth are certainly not sparkling white, but after a year or so of brushing with baking soda, there is a very evident difference and they feel fresher and are closer to white than they have been since my teenage years. I should really have listened to my Grandmother who suggested that I do this some 40 years ago. Apart from being very cheap and readily available, what are the advantages of brushing your teeth with baking soda and what are the possible disadvantages? Baking soda is the more commonly used term for bicarbonate of soda. It is a mildly alkaline, white colored powder with a number of uses aside from cooking. It can be used as a natural cleaner to fight stubborn stains and is often used to clean silver products. Baking soda has also been used for over a century in the process of tooth cleaning and whitening. Why Use Baking Soda to Brush your Teeth? Over the years, your teeth are likely to become stained, especially if you smoke or have been a smoker and if you have a preference for strong black coffee, teas and sodas. Brushing your teeth with baking soda is the cheapest, most convenient and one of the very best methods to improve or to get rid of the discolorations and stains. It can help provide a moderate level of teeth whitening. When baking soda is mixed with and dissolved in water, free radicals get released. This is the important part of the process as the free radicals released into the mouth break down stains on the enamel of the teeth which has the effect of oxidizing the yellowish brown stains that you might be all too familiar with. Over time, this will have a very positive affect on the color of your teeth and will leave you feeling less conscious when the photographer asks you to ‘smile please’. Stains are removed and your teeth look cleaner, fresher and whiter. 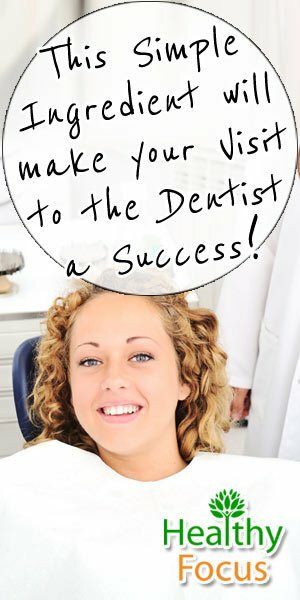 Plaque is removed from your teeth which prevents decay and freshens your breath. The alkalinity of baking soda neutralizes the mouth’s acidic bacteria. This is desirable because bacteria struggle to thrive in alkaline environments. It is cheaper than any commercial whitening treatments and much cheaper than dental whitening procedures. Only brush your teeth with baking soda a couple of times a week. 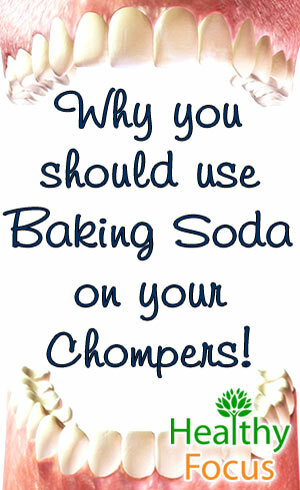 Don’t scrub your teeth too heavily with baking soda. Don’t brush with baking soda for more than 2 minutes at a time. I rather like the taste of the baking soda in my mouth but a few people I have talked to say that they find it slightly too bitter; if you would prefer to disguise its taste you can wet your toothbrush with a mouthwash before proceeding. Adding baking soda is an easy way to improve your dental health. 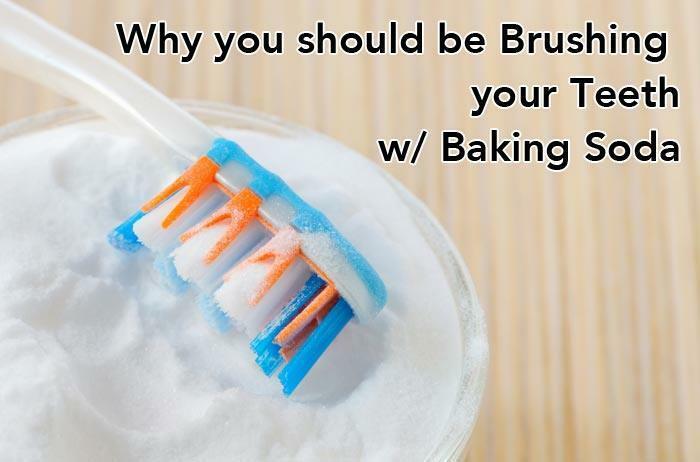 Dip a wet toothbrush into the baking soda trying to cover all the bristles with your baking soda. Start by brushing your teeth rather than the gums as the baking soda might irritate your gums before it has dissolved. Brush for 2 minutes in the normal manner. Rinse your mouth with clean water or a flavored mouth rinse to leave your teeth feeling fresh and clean. Make a combination paste by mixing your toothpaste with a little baking soda. You could also sprinkle the baking soda over the top of your toothpaste after putting it on your brush. Rinse your mouth out when you have finished. Put the mixture on your toothbrush and brush in the normal manner for two minutes. Dissolve a small amount of baking soda into water and add two or three drops of white vinegar and a pinch of salt to the solution. Cover your bristles with the solution by dipping your toothbrush into it. Rinse your mouth with clean water, mouth rinse or brush with your regular toothpaste to remove the taste. If you have some strawberries to hand, you might want to try this because strawberries are known to have tooth whitening properties. Make a pulp by mashing one ripe strawberry. Make a paste by mixing a small amount of baking soda to the strawberry pulp. Apply the mixture to your toothbrush and brush for two minutes. Rinse your mouth well with clean water. Hydrogen peroxide is also known for its teeth whitening qualities and mixed with baking soda it should be very effective. Begin by dipping your toothbrush into hydrogen peroxide. Dip the wet brush into your baking soda and cover the bristles. Brush as normal for two minutes. Rinse your mouth out thoroughly with clean water or a mouth rinse. You should quickly be able to see some very positive effects from brushing your teeth with baking soda. Your smile should improve in a short while. However, most experts suggest that it should not entirely replace toothpaste in your oral health care routine. Baking soda lacks fluoride, which has many known benefits for your teeth. While ingesting too much fluoride can cause issues—not getting enough can also cause problems. The American Dental Association still recommends using fluoride in dental hygiene. To ensure that your teeth are receiving sufficient fluoride, you can either mix your baking soda with toothpaste as described above or brush your teeth with regular toothpaste after brushing with baking soda.